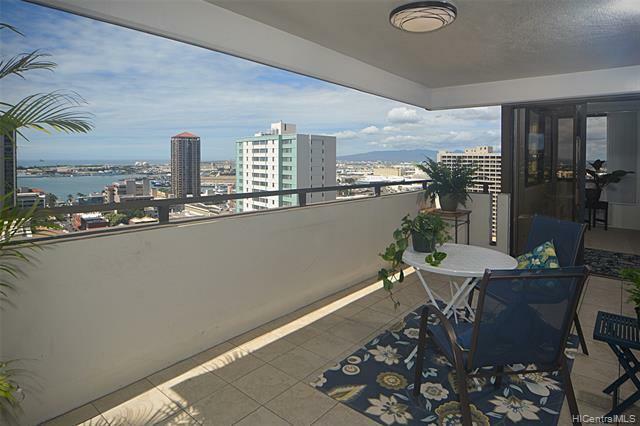 Enchanting, spacious high floor home with views of the city, harbor, and the ocean. 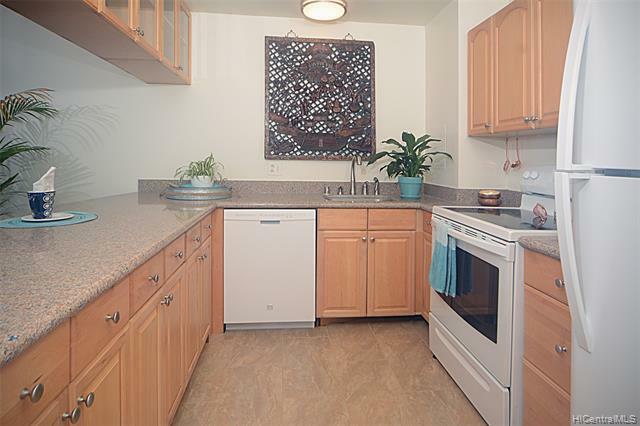 Recently upgraded with new tile, carpet, paint, lighting, several appliances. 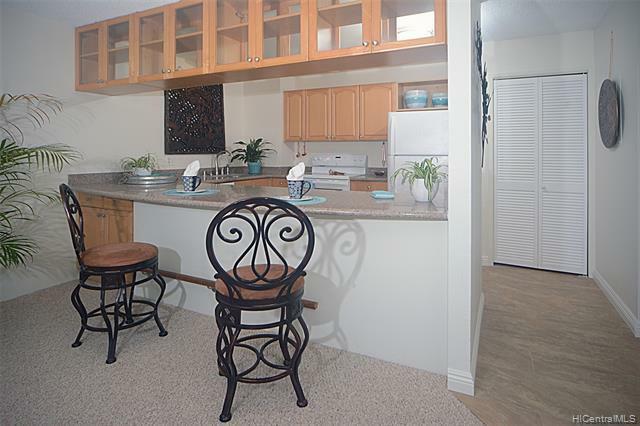 Lanai has access from any of the 3 ocean view bedrooms & living room. Move in and live your dream! Amenities include a heated pool and a spectacular treed park with incredible water features including a stream, pond, and even a waterfall. This garden deck includes a walking path and BBQ areas. Building also has a meeting room and 24 hour security. Wide variety of stores and shopping nearby. 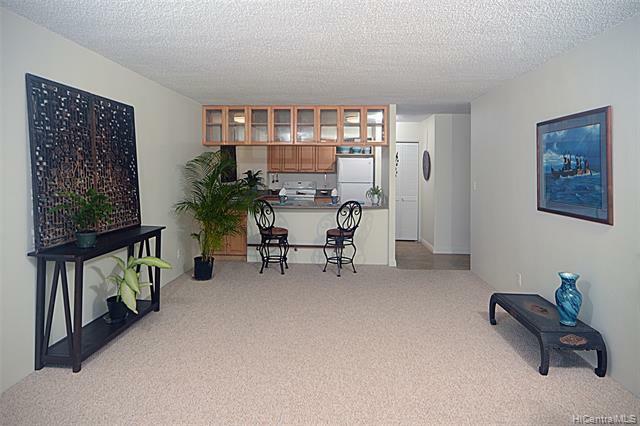 There is one covered parking stall with the option to rent additional spaces.There is no sandwich lease on this condo. This is the one youve been waiting for! Please click on the little reel below the main picture to see a video.